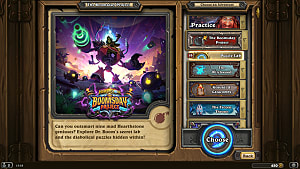 Blizzard recently pushed out some updates to their hit online card game, Hearthstone, to address some of the issues that have been making the game... unplayable at a competitive level. In order to better understand the impact of these changes, let's go over exactly what was so wrong with Hearthstone that it even warranted changes to begin with. Don't get me wrong, Hearthstone is an excellent card game. The developers put a lot of hard work into their product and it shows. It's one of Twitch's top 5 most watched games, and they have the honor of holding some of the biggest and most watched tournaments in gaming. 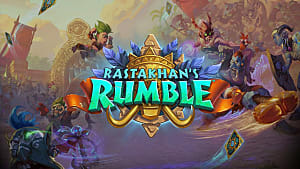 The official Hearthstone Twitch channel recently hosted their Asia-Pacific Summer Championship Finals and was viewed over 40 million times. That's no small amount, so why am I hating on the game so much? I actually love the game, a lot of us do. That's why we're all so eager to see it succeed. 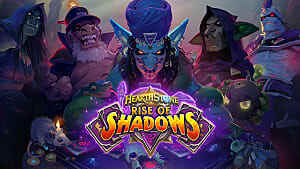 However, in recent Hearthstone history, there has been a very vocal backlash in regards to how the game is proceeding, and a lot of ideas as to how we would like to see it change. 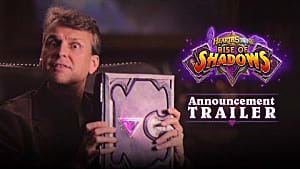 First off, Hearthstone has ruts. These changes are not the first time the developers have felt the need to step in mid-season and change something, and it certainly won't be the last. Some decks that have drastically altered Hearthstone have been Undertaker Hunter and Grim Patron Warrior. 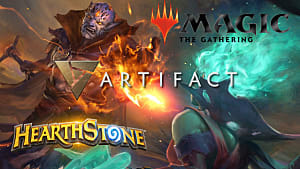 These decks often operate in a way that invites no counter play and are typically one-sided affairs from a game design standpoint. That's not to say they're unbeatable, they're just not very fun to play against since winning is less dependent on your opponent playing well, and more dependent on you being lucky and having the ONE right card in your hand at the time. 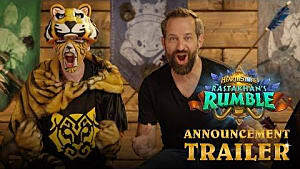 These ruts are then addressed by the developers in a way that hopefully doesn't completely remove the card's viability for the game, but instead invites counter play. For example, rather than completely destroying Grim Patron, they instead changed the card Warsong Commander's functionality completely. Does the card still see play? No, but it does open up opportunities down the road if Charge Warrior ever becomes a thing. Right now, Hearthstone has been completely dominated by two deck-types. Mid-range Shaman and literally anything with Yogg-Saron. The card took some time to pick up traction, not really seeing much play until after the release of the adventure One Night at Karazhan, which added new ways for players to make use of spells. At face value, the card isn't that great, and in practice, is a whole lot of fun to use. 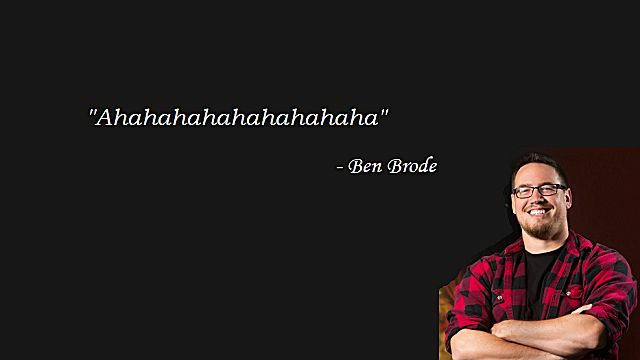 At least Ben Brode certainly seems to think so. The community would seem to disagree however. 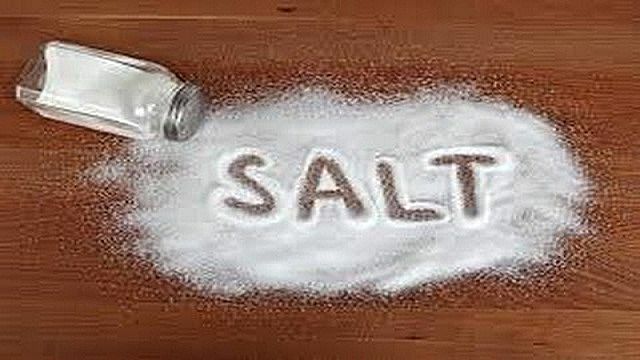 In a recent community tournament hosted by pro-streamer FIrebat, viewers were encouraged to vote on five cards that would be banned from the tournament. Yogg-Saron won with 7,188 votes, followed by Tuskarr Totemic, another nerfed card, at only 3,242 votes. That means that out of almost 14,000 votes cast, a little under half of the community did not want to see Yogg-Saron played. That's a pretty significant polling. Several streamers have voiced their opinions on the state of Hearthstone's competitive future as well. Kripparian, one of the most watched streamers on Twitch, points out the negative aspects of this high random number generation, both from the perspective of how fun it is to play, as well as the effect it has on Hearthstone's e-sports scene. One of the cooler things Hearthstone does is they pull the top ranked players from each season to play in their competitive leagues. However, in past seasons you would typically see the top performing players dominate those ranks, many in there would be well known names as well. Nowadays however, that leaderboard shifts wildly. That is partly due to just how many people are playing, but mostly due to the fact that no matter how good a player you are, you really have no control over how a match will play out due to just how many random effects there are in the game. It becomes less about the players, and more about just watching random effects happen on a board. So what effect did today's patch have? 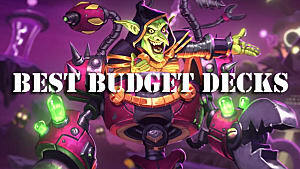 Well, let's go over the cards and talk about what they'll be affected, and how that will influence the over all meta of the game. Since you could just as easily read the patch notes to get this information, we're going to separate everything based on the classes they affect. The changes to the Hunter class aren't too drastic, but do have some minor repercussions to how the flow of a match will work for them. Call of the Wild's mana cost has been increased to 9, up from 8. What does this mean? Well, prior to the change, Hunter was able to, and often did, play this card on turn 8, and again on turn 9. If they didn't outright win from the damage and board presence that this single card provides, it let them flow quite naturally into their 10th turn either with a board presence or with their opponents exhausted of ways to remove threats. This change moves that strong sequence of plays back one turn, as well as costing them their turn 10. Here's where Blizzard dropped the ball a bit. Shaman have a shaky history in Hearthstone. They have jumped from worst to best class in the game, and if you take a look at some of their cards it's easy to see why. Most cards have a formula they follow. A strong card in Hearthstone normally has a mana cost equal to the sum of a card's statistics, plus any other factors that go into the card. 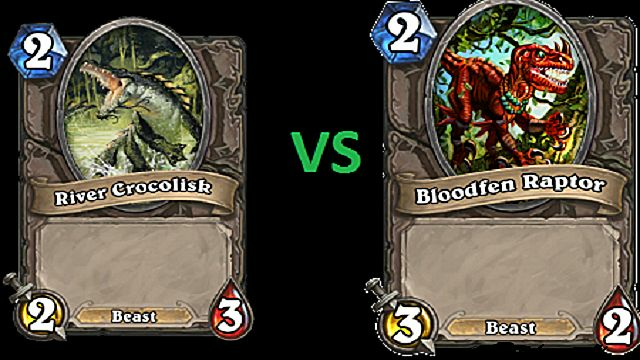 One of the best ways to compare "good" cards in Hearthstone is the comparing Bloodfen Raptor and River Crocolisk. While neither of these cards are something you'll see people clamoring for in the game, they're both good examples of game design. While they seem to have very minor differences, they fulfill very different roles. Raptor is the perfect choice for an aggressor, the card is cheap, has a good amount of damage given its cost, and just enough health to not die to a hero power. A well rounded card considering the 2-mana price. The crocolisk takes a defensive approach. Able to take a bit more damage while dishing out a bit less. However, if the two should ever meet on the battlefield, they cancel each other out. This creates a problem/response system that makes the game creative and exciting. Shaman cards often do not offer their opponent an opportunity to respond, since they have deceptively higher costs then what is printed on the card. Shaman use an effect called Overload, which is considered a negative card effect, since you're essentially investing mana early from the next turn in order to play a card at a reduced cost. Think of it like a loan from a bank that you'll be forced to play later. This card would normally cost 5, even with overload 2 it's powerful. Here's where the problem arises. Shaman "sacrifice" by using this Overload mechanic. It's a Shaman exclusive trait that originally made them one of the hardest to play classes in the game. 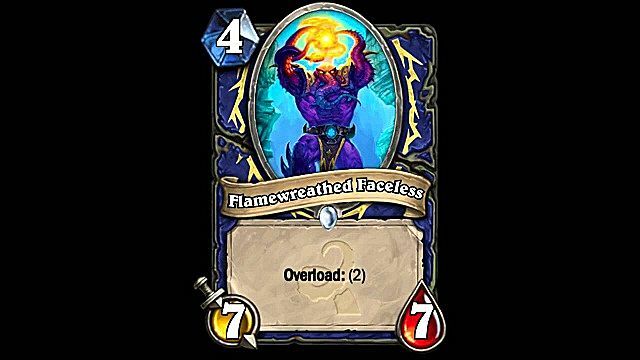 However, in order to make the class more appealing to play, Blizzard added more and more powerful cards such as the Flamewreathed Faceless shown above to distance the class against their competition. This advantage often leaves players at a disadvantage, since other classes will often not have an answer at a similar mana cost; due to the "loaned mana" of Shaman's Overload mechanic. So how did Blizzard decide to reign in Shaman's winning spree? 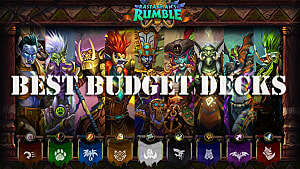 Well, they increased the mana cost on the card Rockbiter, to 2 mana up from 1, and changed the Tuskarr Totemic card from being able to summon special totems. While the Tuskarr Totemic nerf definitely needed to happen, there are certainly different cards in the Shaman deck list that needed to be looked at. However, it is theorized that these problems will sort themselves out come next season. They also changed the card Abusive Sergeant's damage to 1, down from 2. I mention this in Shaman, since they often ran this card along with Warlocks. Both classes will probably notice no difference in the card's functionality, since the main benefit of the card came from its Battlecry, and not its base stats, making this nerf rather unimpactful. 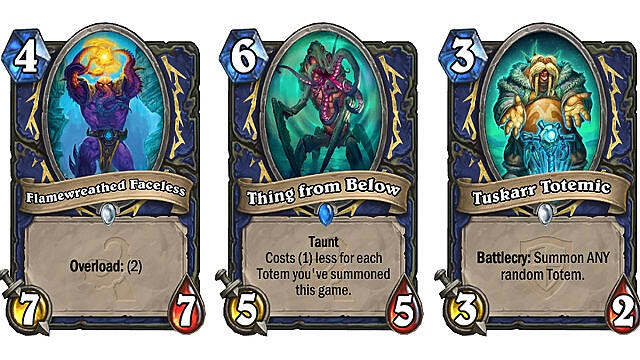 In the current season, Shaman will likely continue to see a strong lead due to just how powerful their mana advantages are, and how strong a tempo gain these cards offer their class. The game is ever-changing however, and it's always exciting to see how players choose to rise to these threats against the meta. Warrior is the odd one in the bunch. Blizzard decided to change the card Charge from being used as a win condition to being used for board control. It certainly adds some interesting ideas for how the card could be used, and perhaps was done more as a way to plan for the future and open up new possibilities for the Warrior class outside of the defensive style that has often been favored by players. 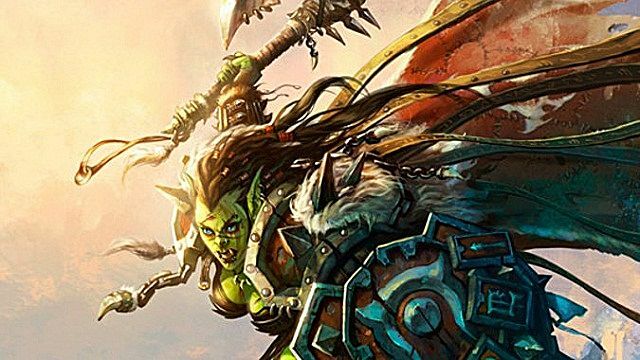 It directly impacts players who have been playing Worgen Warrior one turn kill decks, which have seen some tournament play, but are often played as a surprise deck. Either way, changes like this are good for the game because they open up new possibilities to creative players. Finally, the most asked for change in the game is Yogg-Saron. His changes don't really affect much about the card's functionality, and instead affect its viability somewhat. 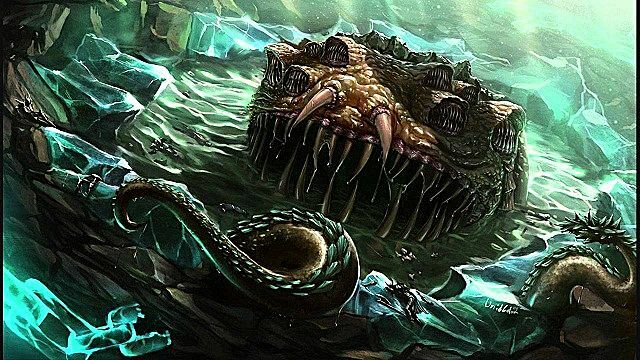 In an early interview regarding the card, Ben Brode himself stated that Yogg-Saron was supposed to be the one "casting" all the spells. As such, players wouldn't benefit from effects that required a certain number of spell casts. For example, Arcane Golems' have a cost reduction based on the number of spells you've played through the game. If you play 4, the Yogg-Saron plays 4, that does not mean you've played 8 spells over the course of the game. The nerf implementating makes a lot of sense when you see the direction they were going for. If Yogg-Saron should be rendered unable to cast spells, either through removal, silence or death, he stops. It limits how impactful Yogg-Saron can be, and encourages players to be less careless about when they play him. In the end, it needed to happen in order to keep the card from really getting out of hand in competitive play. After all, what's so competitive about having a reliably efficient card dictate whether or not you win a match? The lack of counter play made this change inevitable. That's the end of our roundup on the latest Hearthstone changes. 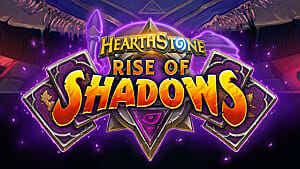 If you want to hear more about Hearthstone's development, check out Ben Brode's opinion on the worst card in the game. Did you think the changes were fair? Let us know in the comments below.